Harry Edgington was born and baptised in 1894 in Mickleham, Surrey, the son of William James (1861-1919) and Fanny (nee Gosling 1868-1951) Edgington. William and Fanny were married on Christmas Day 1888 in Mickleham. Harry was one of 13 children. There were also two more siblings, who died before 1911. The Edgington family lived at 2 Railway Crossing, Swanworth Lane, Mickleham, where William worked on the level crossing. The house had five rooms. Harry attended the village school where he won prizes for excellent attendance and took part in annual Christmas entertainments. In the 1911 census Harry, was still living at his parent’s home at 2 Railway Crossing. He was working as a gardener at Juniper Hill. Harry enlisted on 20th August 1914 in Kingston-upon-Thames and was attached to the 7th (Service) Battalion of the East Surrey Regiment which was part of the 37th Brigade in the 12th (Eastern) Division. The battalion was mobilised for war in 1915 and landed at Boulogne on 2nd June. He was promoted to Lance Corporal on 20th December 1915. There is a report that he was wounded in his right leg on 11th August 1916. The 12th (Eastern) Division served on the Western Front for the duration of the war, fighting in the Battles of the Somme in 1916 and the Arras Offensive in 1917. In March 1917 Harry was attached to the 37th Brigade Sniping Company. 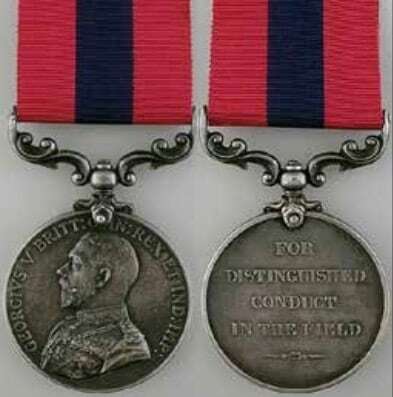 The Distinguished Conduct Medal was awarded for ‘distinguished, gallant and good conduct in the field’. For all ranks below commissioned officers, it was the second highest award for gallantry in action after the Victoria Cross, and the other ranks’ equivalent of the Distinguished Service Order, which was awarded to commissioned officers for bravery. 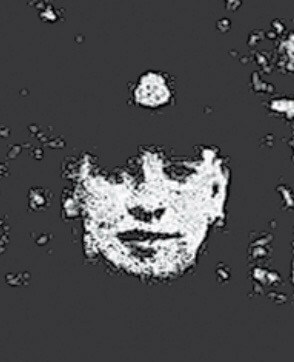 Four days after being award the DSM; on 21 September 1917 Henry Edginton was killed in action aged 19. He was buried at the British Cemetery at Tilloy, in the Pas de Calais. He was not married so his mother Fanny was the sole legatee to his estate and war gratuity. Mickleham has heard with very sincere regret that another of its brave sons has fallen in action. The news has been received with particular pathos, for it was only a few days ago that the parents heard the glad tidings that their son had been awarded the Distinguished Conduct Medal. We refer to Lce. Corpl. Harry Edgington of the East Surrey Regt., who in his boyhood attended the Mickleham Schools. His father, now residing in Lincoln Road, Dorking, lived for many years at the Mickleham level crossing, and after leaving school Harry worked in the gardens at Juniper Hill, where he was much respected, he being a nice-mannered lad. Here he was employed when he joined the Army. Out in France he proved himself a clever sniper, and some twelve months ago was recommended for distinction, though it did not mature. Quite recently he again came under the notice of his superior officer for some meritorious act, it is believed in the trenches, and within a few days of receiving the glad news of the honour conferred upon him the parents received the official intimation of his death. This is the second son they have given to their King and country during the war. Lce. Corpl. Edgington, we believe, is the first Mickleham man to whom has been awarded the D.C.M.